Metro Nashville Public Schools gave a Maryland company the inside track on a lucrative deal to boost science and technology curriculum in middle schools, a NewsChannel 5 investigation discovered. Schools Director Dr. Shawn Joseph and his leadership team turned to Discovery Education to help develop the vision for the initiative, then the company was awarded an $11.4 million contract with no real competition. "So many of us in conversations outside those senior leadership meetings would talk about: can you imagine what we could do if we had half that amount of money and we implemented our own plan in our schools?" said Dr. Kris Elliott, who headed the district's STEM efforts for two years. "It was a shame that we weren't allowed the time and space to talk about ways to make this sort of improvement process, that it was just automatic: it was a vendor and they were going to solve all of MNPS's problems." STEM curriculum focuses on science, technology, engineering and mathematics. Metro Schools decided to include an arts component, calling it STEAM. In response to NewsChannel 5's questions, the district issued a written statement, saying "MNPS makes no apologies" for working with Discovery. "In full accordance with the law, MNPS invited vendors to submit proposals, and in full accordance with the law and after a thorough, competitive process, MNPS awarded that contract to the successful bidder," the statement said. But emails obtained by NewsChannel 5 Investigates show that Discovery Education began courting Joseph not long after he began as Nashville's director of schools in July 2016. Joseph's calendar shows he hosted the company in his office on Sept. 20, 2016. Ten days later, records show Joseph's chief academic officer, Dr. Monique Felder, got paid $2,000 dollars by the vendor group, Educational Research Development Institute, to meet with companies that want to do business with school systems and offer her advice. Emails show that after a dinner cruise around Chicago for conference participants, Discovery Education invited her to a rooftop bar for a "networking reception." Then, in early November 2016, Discovery was back in the director's office, ready to make a formal presentation of what they were ready to do for Metro Schools. "To walk into a meeting a couple months or three months after they had been on the job, to hear of this massive STEM implementation plan that was going to happen with Discovery Education was a huge shock to me," Elliott said. Elliott said Joseph's team appeared to have a cozy relationship with the vendor. "I think there might have been a couple of hugs, yeah. Certainly, these were folks that knew each other pretty well." The former STEM director said he came to the meeting prepared to talk about what the district was already doing and what other ideas could be pursued, but the decision to go with Discovery Education appeared to have already been made. "It really was a meeting, I think, for us to understand [that] this is what the district was going to do and we were to implement it." A week later, Discovery emailed its formal "STEAM Transformation Partnership Plan" to Felder. Emails show that, in early December, Joseph and Felder traveled to a Learning Forward education conference in Vancouver, where Discovery was also present. Just days later, Discovery was back in Nashville to present the plan to principals. "Principals went back to their buildings very excited, started thinking about how they could really customize this plan for their school," Elliott said. "We were really moving forward 110%." Then around Christmas, the emails show, that plan ran into a roadblock. Purchasing officials told Joseph's team that they would have to put out a Request for Proposals (RFP) to give other companies a chance to bid. In its written statement, Metro Schools said that purchasing first informed Joseph on Dec. 9, 2016, that an RFP would be required. But the emails show that, as late as Dec. 28, a Discovery rep was still asking to "explore all options available regarding our partnership expansion to avoid an RFP." When the "invitation to bid" was finally issued, it mirrored much of what Discovery had already proposed: requiring the use of digital instructional materials, intensive professional development for teachers, and a detailed plan for community engagement. "Essentially those were all key components of the Discovery plan," Elliott said. "So when you put that RFP out, essentially Discovery already had that plan ready." The RFP was issued on Jan. 26, 2017, and competitors were initially given three weeks to come up with a plan that Discovery had spent months developing. That deadline was later extended by a week. "You have this Discovery plan that was thoroughly reviewed, understood. 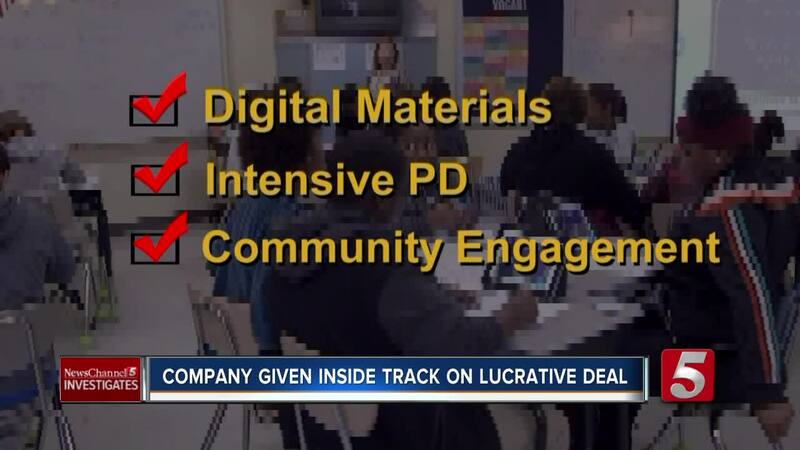 It was in front of principals, it was in front of teachers," Elliott said, describing Discovery's inside track. 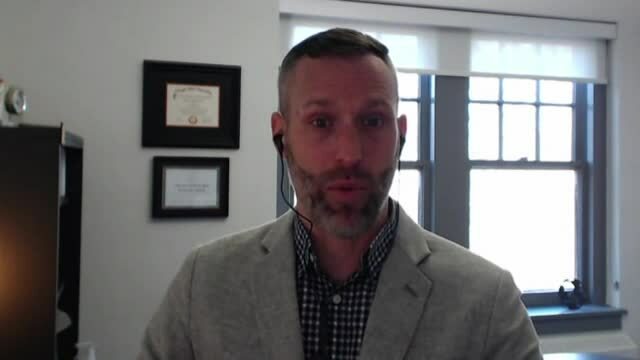 "So even though you run a legitimate RFP process, it certainly influenced what the RFP looked like, what the plan was, what our expectations were. It certainly gave them an advantage." Three days after the RFP was issued, Felder and a group from Metro Schools flew to Florida for a "National STEM Symposium," hosted by Discovery Education. A follow-up email by Felder thanked Discovery for an "AWESOME STEMposium!" "We're ready to make MNPS STEAMtastic!" she concluded. At this point, Discovery had not been selected as the winning bidder. "I remember reading that email, and I kind of cringed," Elliott said. When the bids came in, Discovery had a proposed price tag of $12.1 million. A smaller company, Interactive Media Publishing, came in at $2.8 million, but the district decided that company wasn't a serious bidder. "When they came and gave their presentation, it really showed they weren't well equipped to deliver on such a large scale or deliver the professional development that our teachers needed," Elliott conceded. MNPS later negotiated the Discovery Education contract down to $11.4 million. The district was forced to dramatically cut the Discovery contract last year after the Metro Council refused to fully fund Dr. Joseph's budget. Discovery Education is the preeminent leader in its field, and MNPS makes no apologies for its work with them. In fact, the district has been engaged with this company for more than 10 years. No single person can influence the awarding of a contract such as this. The process of developing the STEAM proposals was transparent and involved a team of experienced subject-matter educators who followed best practices in engaging thought-partners. In full accordance with the law, MNPS invited vendors to submit proposals, and in full accordance with the law and after a thorough, competitive process, MNPS awarded that contract to the successful bidder. MNPS Purchasing officials did an excellent job in coordinating this undertaking. Otherwise, MNPS could have been saddled with a resource that did not meet the needs of its middle-school students who are in desperate need of high-quality instructional materials. On Dec. 9, 2016, Purchasing informed Dr. Joseph that a STEAM rollout to the middle schools would require a formal RFP. The RFP was developed, then published on Jan. 26, 2017. The RFP was posted on Jan. 26, 2017 with a proposal due date of Feb. 17, 2017. The due date was changed to Feb. 24, 2017 and notice of the change was published on Feb. 2, 2107. The typical posting time for the district’s RFPs range from two to four weeks. More than 2,400 prospective companies were notified by email on Jan. 26, 2017 of the RFP posting, with a copy of the REP attached to the email. It is common for interested companies to request an extension to a RFP proposal due date. As in this case, barring some compelling circumstance, reasonable extension requests are granted. Only one of the initial respondents requested an extension. No firms protested, during or after the process. Dr. Felder did not attend the Discovery Ed networking reception at the Learning Forward Conference nor did Dr. Joseph.